Announcement CURRENT TURN AROUND TIMES! 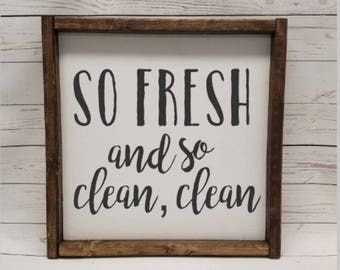 Farmhouse Framed Signs - TWO weeks! First Day of School Signs - TWO weeks! Please feel free to contact us with any questions or special requests! 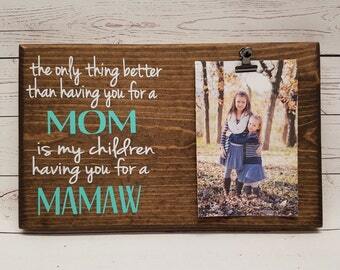 We love do do custom designs :) Great Gift ideas! Grandparents, parents, other family members, wedding, etc! THANK YOU for shopping handmade and supporting our little shop :) We are so happy you found us and look forward to creating something just for you! Beautiful! Exactly what i wanted. Great item. I can hear my guests laughing when they go in the bathroom and read the sign. Real cool. Busily working on orders in my new studio! We reworked our basement family room to allow me to have a place of my own! We are a husband and wife team here at 213 Designs! My husband and I went to visit my Grandmother while she was vending at a craft show in September of 2014 and walking down the aisles, looking at all of the booths, made me miss what we had when we were crafting. It is such an amazing creative outlet and we are so fortunate to be able to create and sell our goods. Well, on the way home from that show in September we decided to jump back in. It was going to be small, just a show or two, but that isn't really our style! So here we are - On Etsy, Amazon Handmade, Facebook, and going to many local shows. We're all in and loving it! I didn't know how much I missed creating while I was away and am so excited to be here!! Please contact us with any questions! We love to collaborate with other creative souls, so if you have a comment, suggestion, question - etc - please contact me! Hello! I am Terra and I do all of the designing and painting here at 213 Designs! I am a wife and mother of 3 amazing littles :) . I love to create and paint and am so excited to have my things listed here at ETSY, and Facebook! Please look around! For purposes of EU data protection law, I am the data controller of your personal information. If you have any questions or concerns, you may contact me here through Etsy Messages. Frames are made from quality pine so they are nice and sturdy! I love wood and the beautiful qualities of a nice solid wood product. You have several choices of wood stain or paint for the base board color. Mostly - YES! :) If there is a name on the front - like Dad, Mom, Grandma, Grandpa, etc - we will gladly change that to what YOU call your loved one - Memaw, Papa, Mama, etc. If you want to add or make more than a simple name change to one of my designs, please reach out via convo first! I need something quicker than your turnaround, what do I do? I urge you to check out our READY TO SHIP section! :) These are ready to ship in two business days.